I'm not a fan of any Multi-Level Marketing type of business, but lately I have come across a couple that caught my eye. Mia Mariu is one such company that I feel is worthy of consideration. This company features an impressive collection of various beauty products, everything from cosmetics to health and beauty supplements. The products are reasonably priced, so you don't feel as if you're over-paying; which is a rarity, and who doesn't love beauty products? As far as a business endeavor, I feel it's very practical, and thus could possibly generate a substantial income. 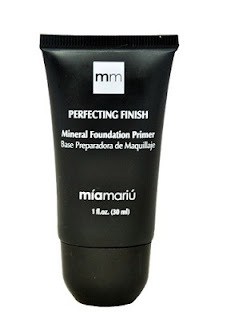 I had the opportunity to try a couple products from Mia Mariu: The Mineral Foundation Primer and the Mineral Cream Foundation. As the name suggest, the purpose of the Mineral Foundation Primer is to prepare the skin for the mineral foundation, it also extends the wear of foundation. The texture is nice and light, not at all greasy. This absorbs quickly into the skin, leaving it soft and moisturized. 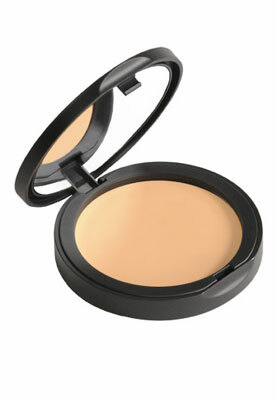 The Mineral Cream Foundation by Mia Mariu is a makeup artist's dream. The creamy texture is light and sheer, but can be layered for a more dramatic effect. I really like this light foundation, I normally use a tinted moisturizer mixed with more moisturizer for a very light coverage. With the Mineral Cream Foundation I have complete control, I can wear it sheer, yet I'm able to achieve a greater coverage around my nose and under my eyes by simply layering the foundation. The sheer cream allots for different techniques, such as wetting the sponge or using my fingers. This also blends very naturally with my skin tone. Perfectly balanced color pigments are said to give the colors a natural tone. Mia Mariu offers a foolproof way of choosing your foundation and concealer shade on their website. Both products delivered nice results. Whether you desire an entrepreneurial venture or simply looking for beauty products, Mia Mariu is definitely a company to keep on your radar.